Terra Nova drew the short straw. That was the only way to look at it. 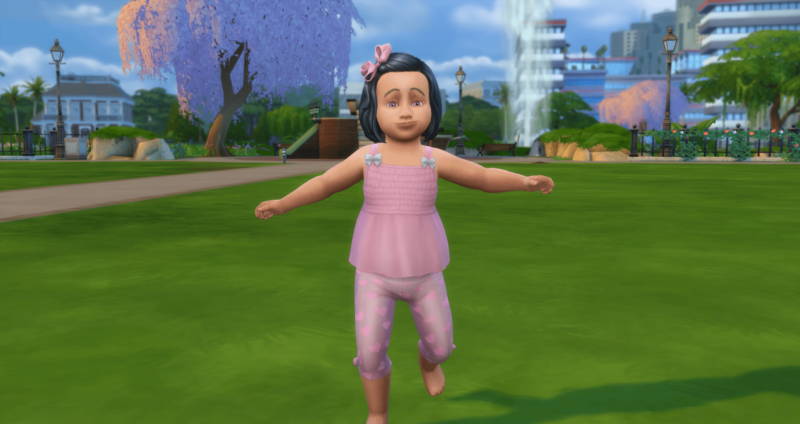 She arrived at her new “home” and looked around. 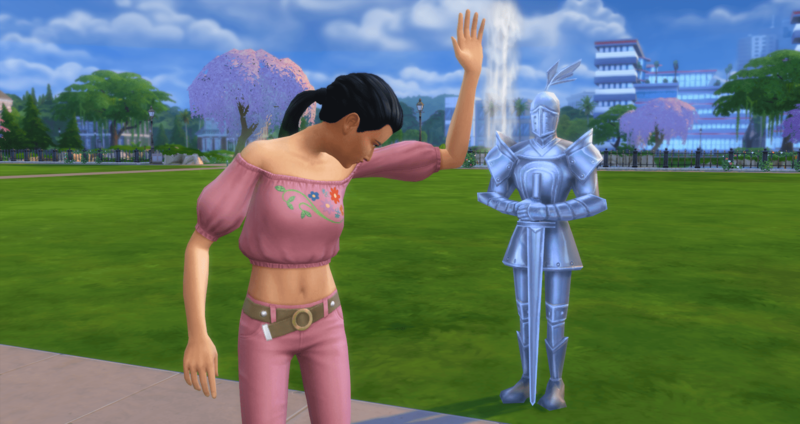 She had a suit of armor and an empty plot of land. Some home. From here she would build a life, a legacy. But to begin with, she would begin with nothing. 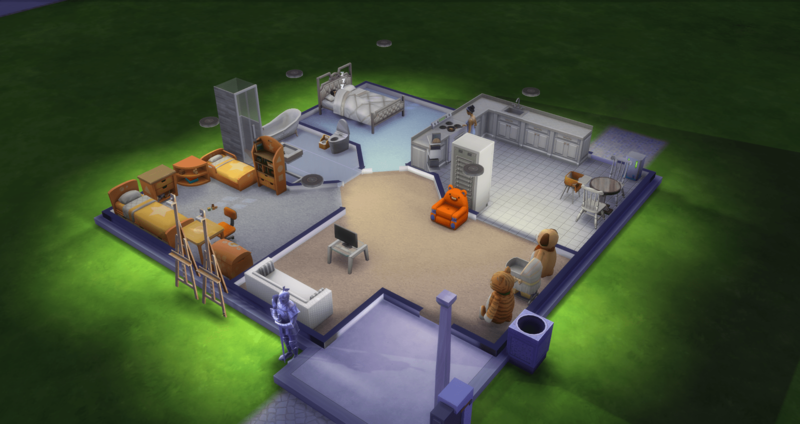 Terra didn’t even have enough for a small house, so she headed down to the community center for a cooking class. 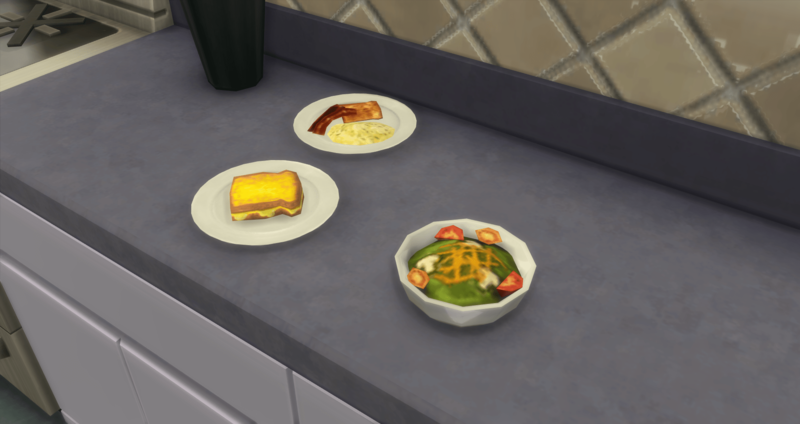 She learned a couple of basic meals, cheap basic meals: eggs and bacon, grilled cheese, and a garden salad. 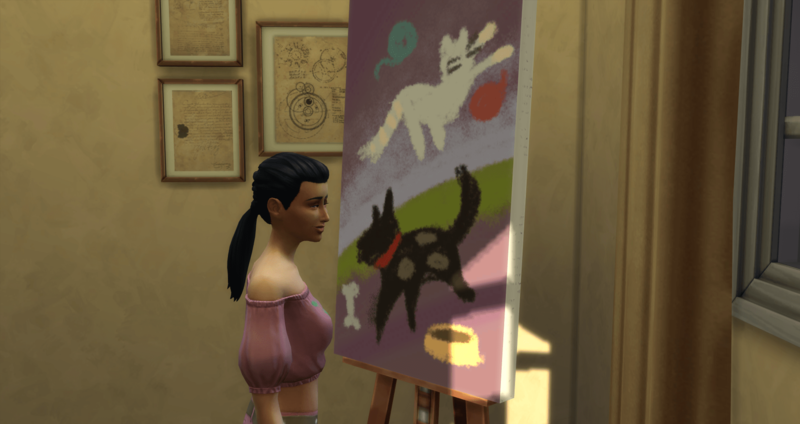 After the cooking class, she took a basic painting class. 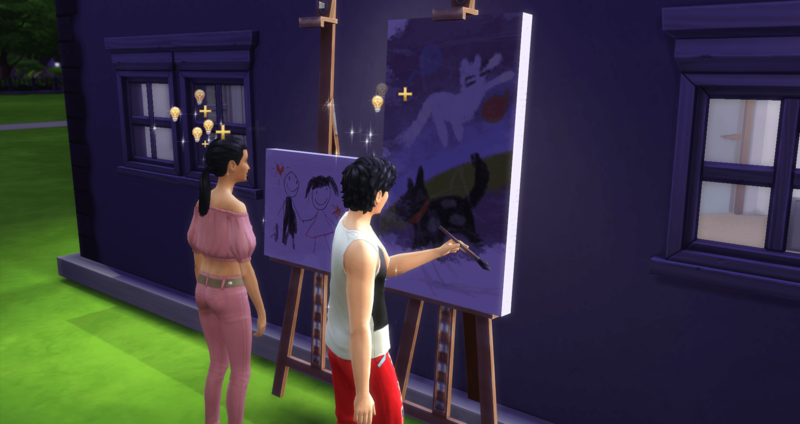 She heard it was possible to eek out a living as a painter and she considered herself creative, so she decided to give it a shot. 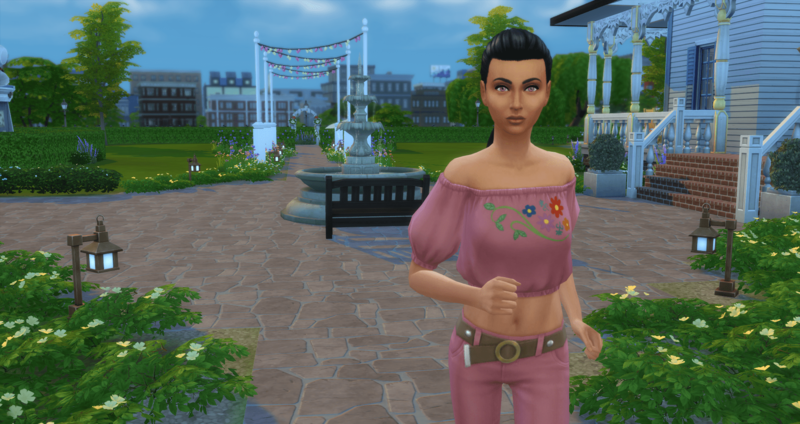 After her painting class, she wandered around the park, collecting random goodies and meeting various men. 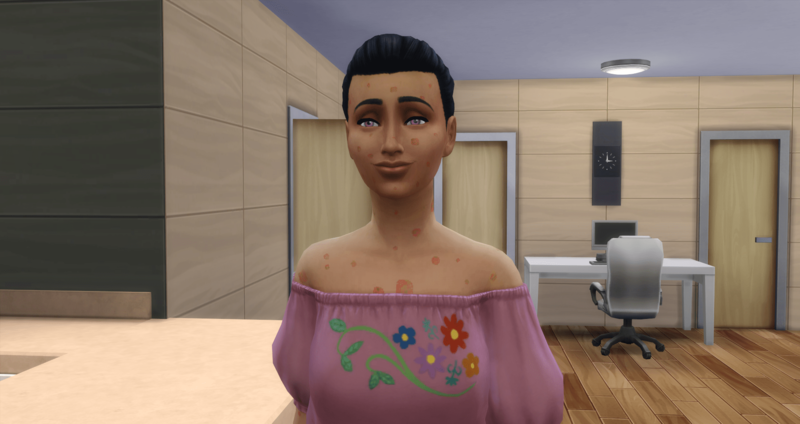 She even spent the night on the couch in the community center and went straight to work on Monday morning. 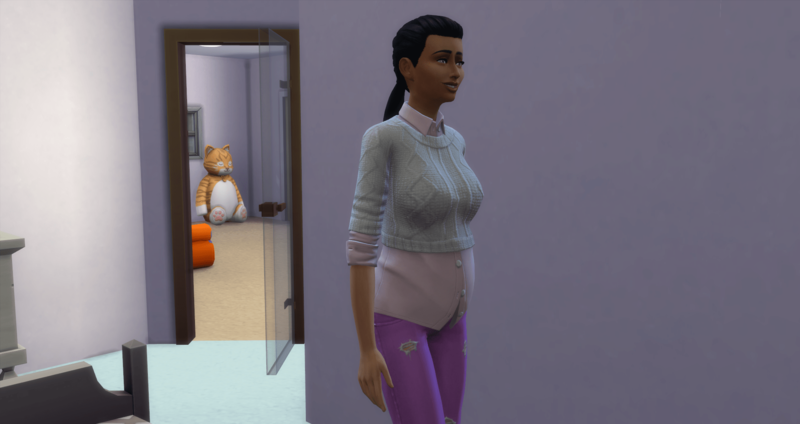 By the time she got home from work Monday evening, she was ready for some company. She called up one of her new friends and they went out to the Humor and Hijinks Festival at the Casbah Gallery. She really was starting to smell and was hoping he wouldn’t notice. They joined the Jokesters (and won) but by the time it was over, she was exhausted and smelly, starving and really had to pee. 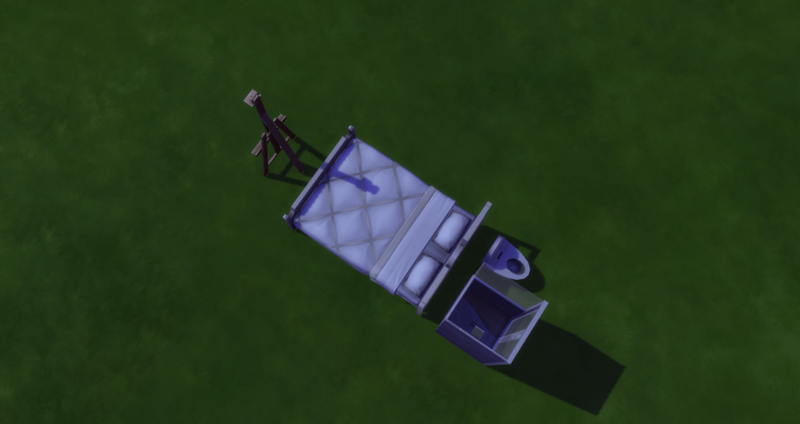 Terra sold everything she had collected and won and was able to afford a good bed, toilet, shower, and easel. Enough to get through the night and complete her work tasks. 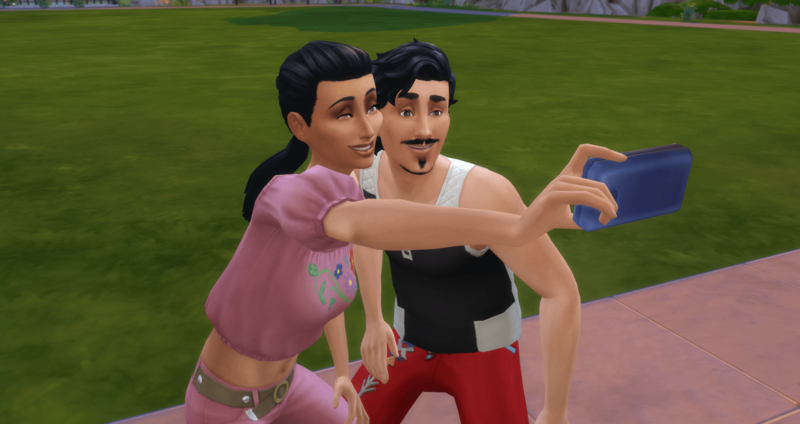 She invited Kelly over after work the next day and they built their relationship. Kelly wouldn’t accept her proposal but he agreed to move in. Then he turned it around and proposed to her. She accepted. This is a legacy and she needs to bring in the next generation after all. 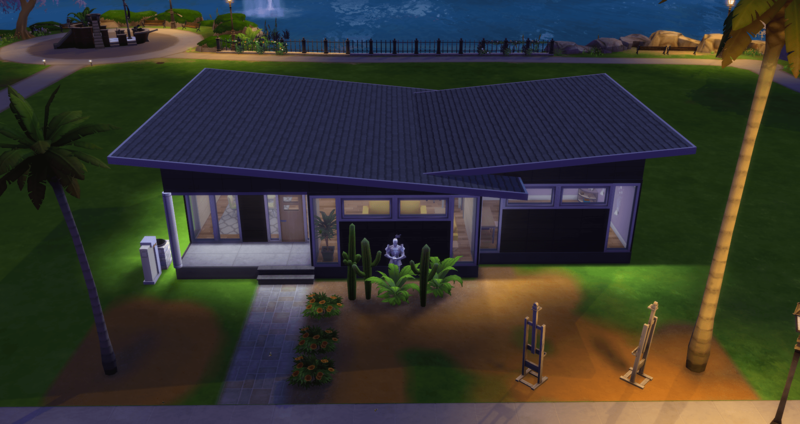 A basic house, because Kelly brought in some cash. 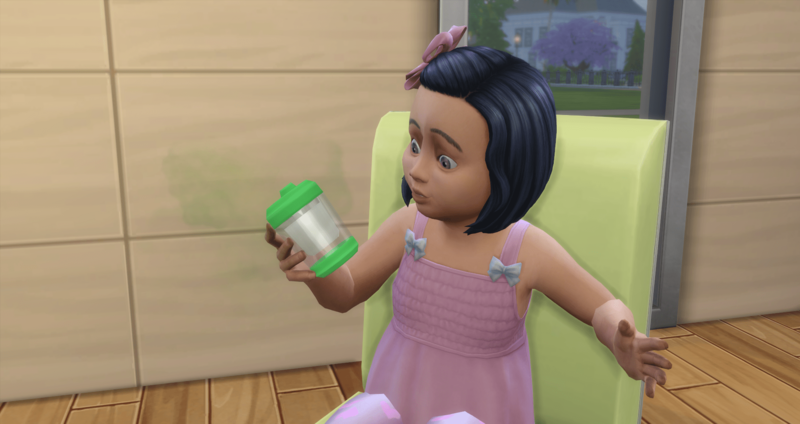 Terra rolled Super Parent and Kelly came with Successful Lineage, so they are preparing for their kids. He was a Landlord and is now a Painter, so they are knocking out the paintings. 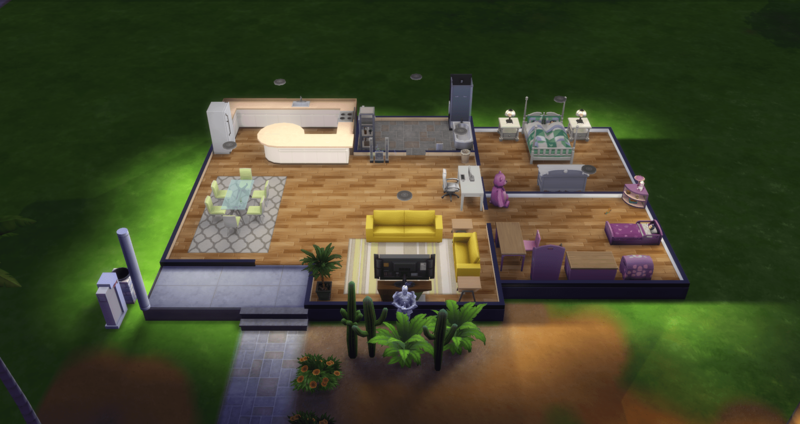 This is a lucrative career in Sims. 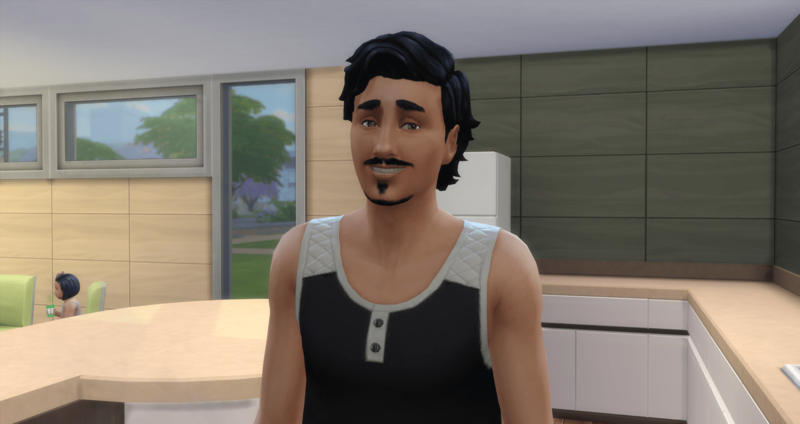 As a landlord, Kelly came with maxed Handiness, so he gets to repair and upgrade, while Terra gets to clean up her vomit. Baby Aeryn makes her appearance. 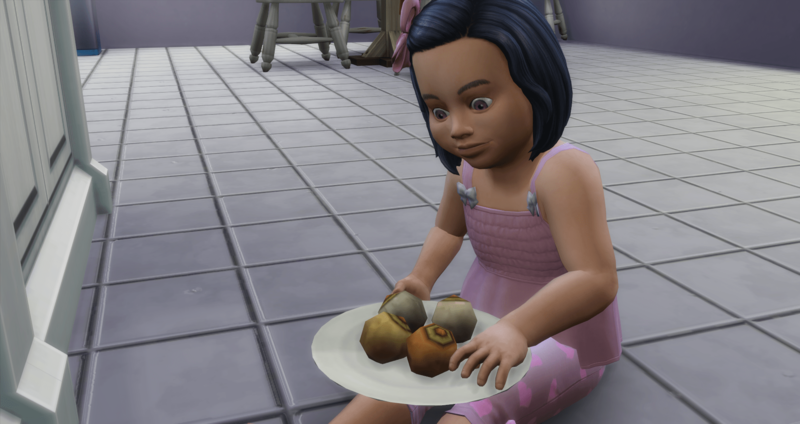 Toddler Aeryn eating Cheesy Eyeballs. Apparently these register as sweets because she had the sweet high and then sweet crash. 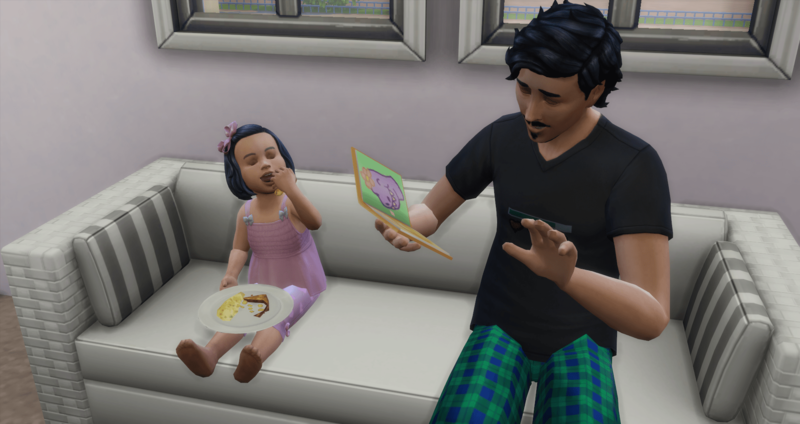 Mom is at work, Dad is reading a story, Aeryn is eating breakfast. The quiet before the storm. Aeryn makes a mess, just as Kelly and Terra leave for work. 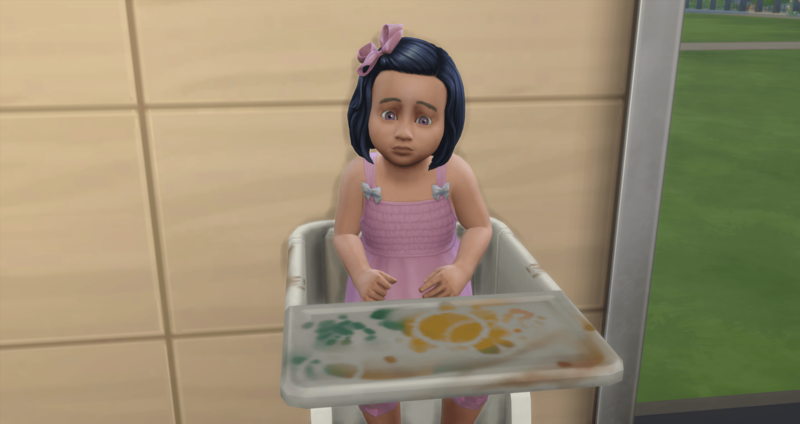 They scold her and head out the door, leaving her in the high chair. 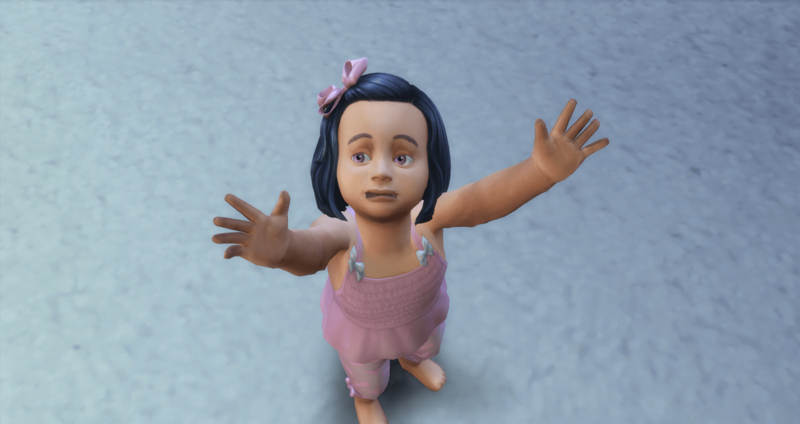 Now she is mad at being scolded and sad at being left behind, and she is just realizing she is trapped until the nanny lets her out. 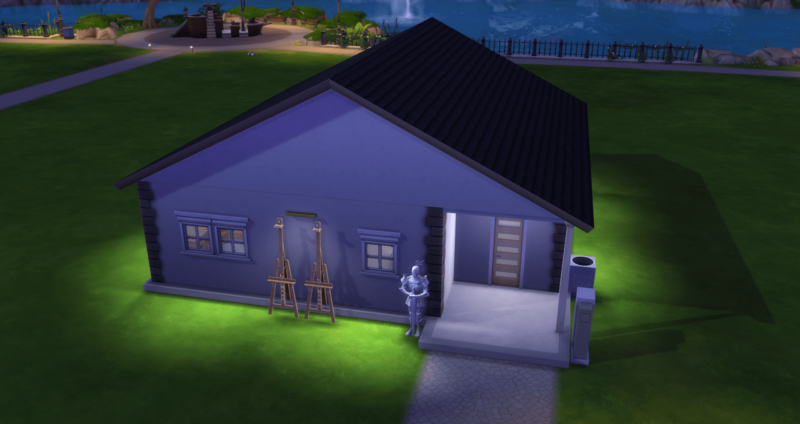 With the improvement in their painting skills, Kelly and Terra upgrade their house. 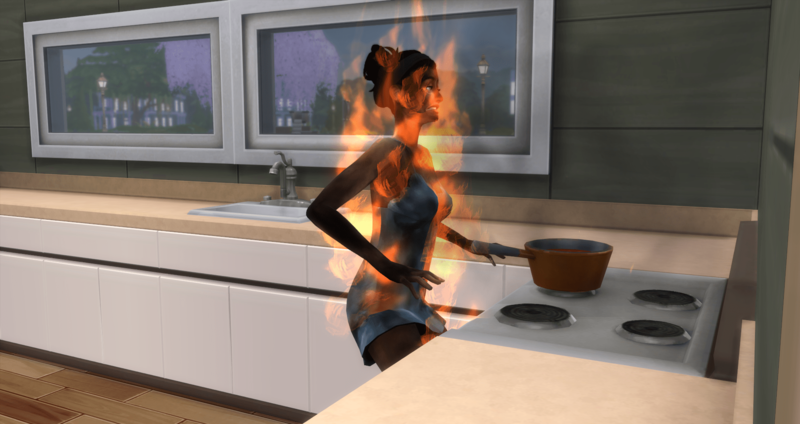 Which Terra promptly sets on fire while making spaghetti, along with herself. Kelly is not impressed. 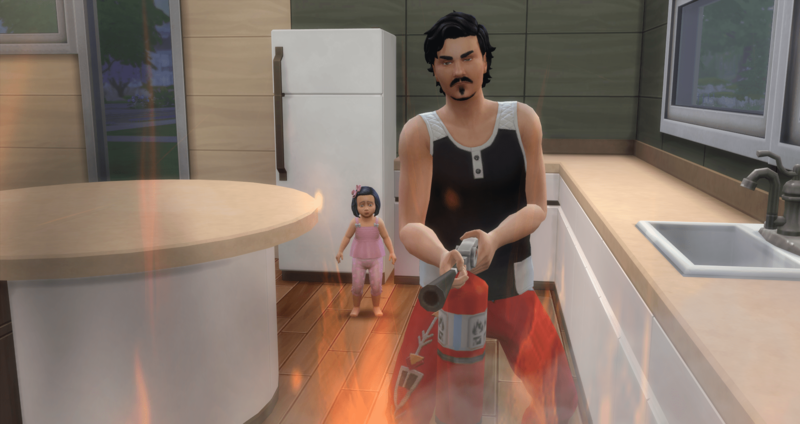 He extinguishes the fire while Terra evacuates the premises, leaving Aeryn in the kitchen watching Kelly. 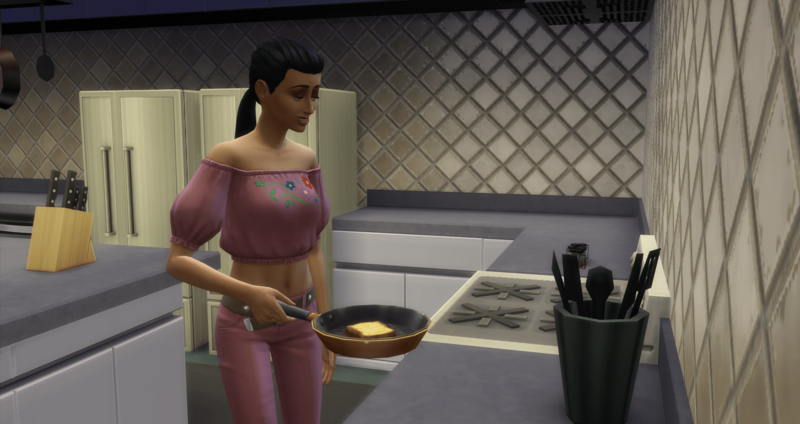 Aeryn drinks spoiled milk while Kelly makes breakfast while Terra takes a shower. Finally, breakfast is ready. Kelly blows kisses at Terra, who still hasn’t taken a shower (no idea what she was doing in there). 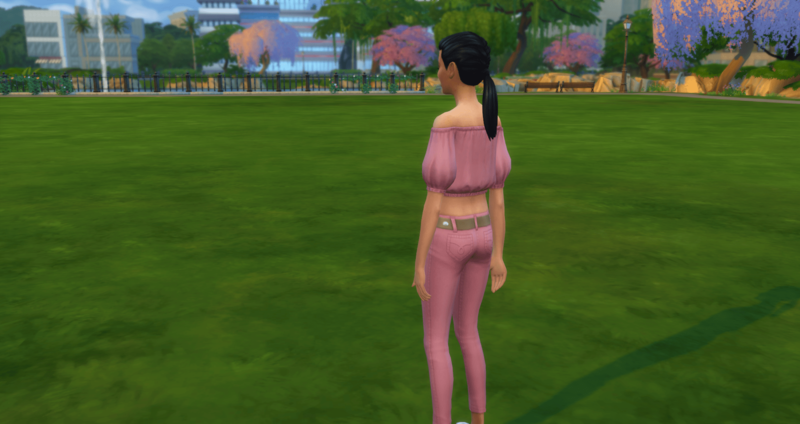 They are both flirty and Aeryn is looking between them in confusion and in tears because they have been too busy to comfort her.